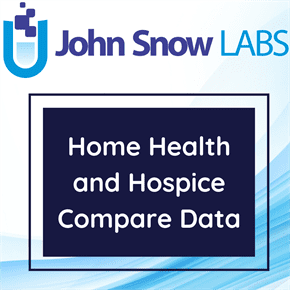 This dataset contains State averages of several home health agency quality measures for Home Health Agencies. This survey is designed to measure the experiences of people receiving home health care from Medicare-certified home health agencies. The Home Health Care Consumer Assessment of Healthcare Providers and Systems (HHCAHPS) is conducted for home health agencies by approved HHCAHPS Survey vendors. In November 2002, the Quality Initiative was launched to ensure quality health care for all Americans through accountability and public disclosure. The initiative aims to (a) empower Americans with quality of care information to help them make more informed decisions about their health care, and (b) stimulate and support providers and clinicians to improve the quality of healthcare. The Quality Initiative was launched nationally in November 2002 for nursing homes (the Nursing Home Quality Initiative), and expanded in 2003 to the nation’s hospitals and home health care agencies. On September 25, 2006, the Agency for Healthcare Research and Quality (AHRQ) published a call in the Federal Register for survey items or measures representing areas of quality home health care that are viewed as important to consumers, their families, and intermediaries and initiated a review of existing literature in the area. AHRQ developed a draft survey instrument after several rounds of cognitive testing. A field test was conducted in 2008 with 34 home health agencies to test the psychometric properties of the survey and finalize its content. A final Home Health Care CAHPS Survey was developed in the summer of 2008. The Survey was endorsed by the National Quality Forum in March 2009 and approved by the United States Office of Management and Budget in July 2009. To receive the annual payment update (APU) for any given year, home health agencies that do not qualify for an exemption from participating in the HHCAHPS Survey for the specified APU must contract with an approved HHCAHPS Survey vendor and administer the survey on an ongoing (monthly) basis and submit HHCAHPS Survey data to the HHCAHPS Data Center on a quarterly basis. More information about the HHCAHPS Survey and participation requirements is available in the “HHA Responsibilities” document. To apply for an exemption, HHAs must count and report to CMS the number of patients served during the specified 12-month period via the online HHCAHPS Survey Participation Exemption Request Form. Of the 25 core questions, 17 core questions are grouped into three survey “composites” or groupings of like topics, for the purpose of public reporting. The three composites that are publicly reported are “Care of Patients”, “Communications Between Providers and Patients”, and “Specific Care Issues”. We also report the results of two global or overall measures (questions) called “Overall Rating of the Home Health Agency” and “Would You Recommend this Agency to Family and Friends”. 1.To produce comparable data on the patient’s perspective that allows objective and meaningful comparisons between home health agencies on domains that are important to consumers. 2. Public reporting of survey results will create incentives for agencies to improve their quality of care. 3. Public reporting will enhance public accountability in health care by increasing the transparency of the quality of care provided in return for public investment.